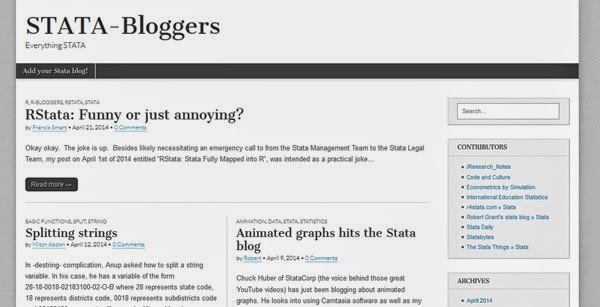 STATA-Bloggers has been out for a year and has gotten a bit of a facelift. Still far fewer bloggers (9) than would be ideal to maintain an aggregator, but probably the best source for an aggregate feed on Stata news. Please contact me if you would like to be added to the aggregator.